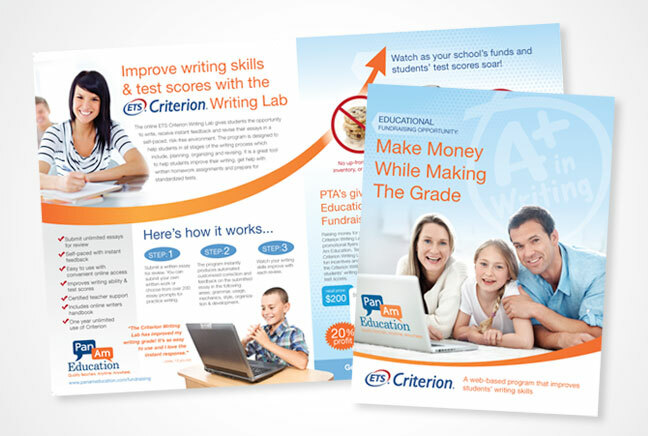 The online Pan Am Writing Lab powered by Criterion ETS improves students writing skills and test scores and provides a fundraiser for schools. 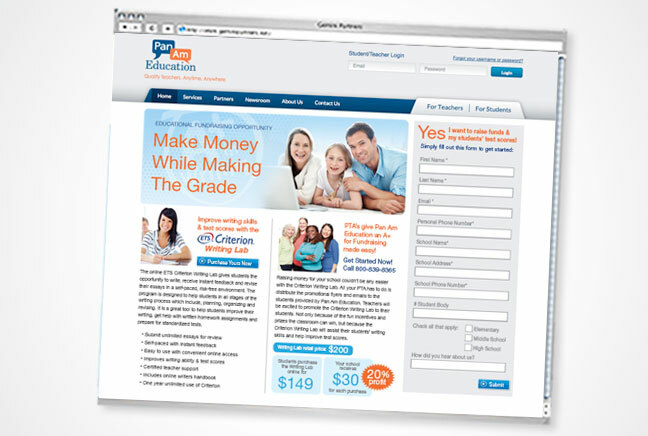 We designed a clean, user-friendly brand to emphasize this powerful, yet easy technology. 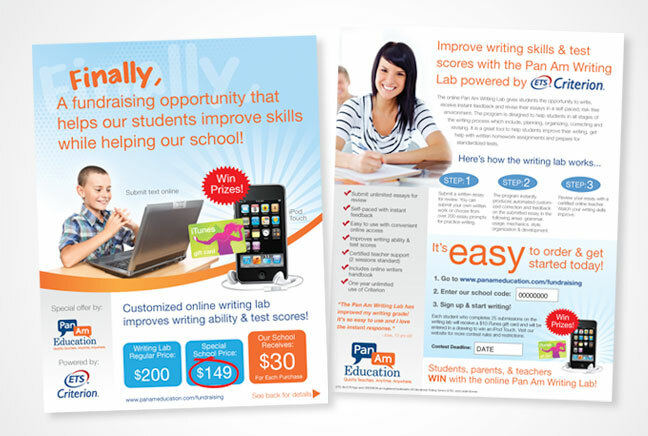 We carried the brand through the brochure, take-home flyer and landing page for their existing website. I have been using Bonilla Design for various projects over the past three years and have been extremely impressed with their work in every instance. They provide strong assistance during every step of the process from creative direction through execution of the project. 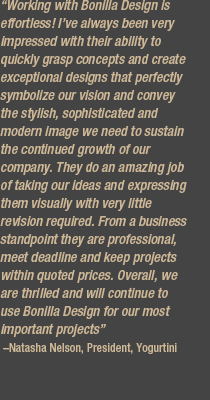 I would not hesitate to recommend them to potential customers!